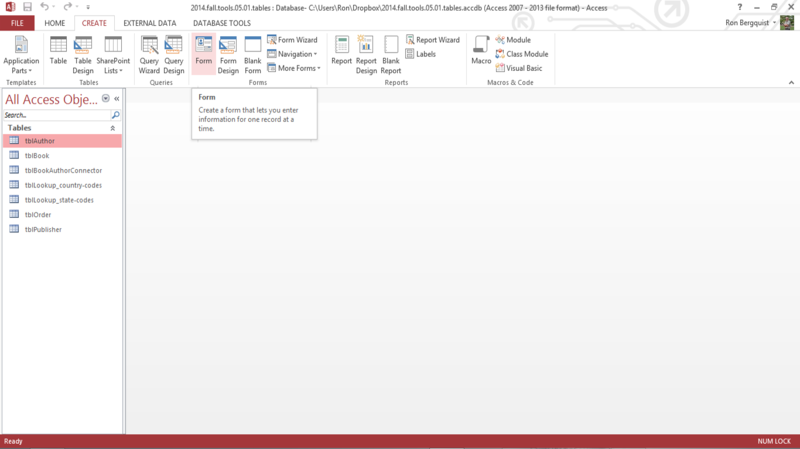 Forms can permit the database designer to create a front end input device that allows data entry personnel to populate the database without having to understand the database's inner workings. Since we want to see forms at work in a healthy database, we'll use a set of well-related tables as a database for building forms (our completed task 05.02). 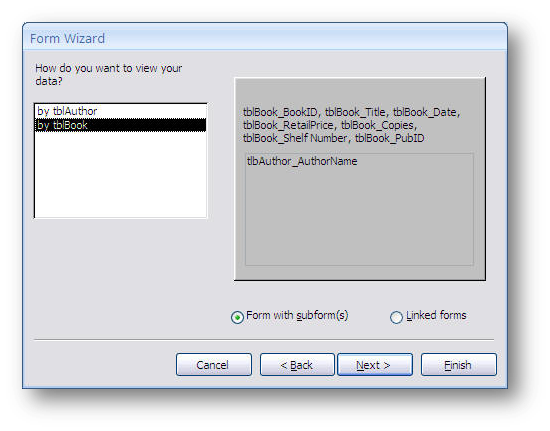 They give you a way to enter data into your database, display the data for review, and print it out. forms can be used to retrieve information from more than one table but they must be based on a single underlying table or query. 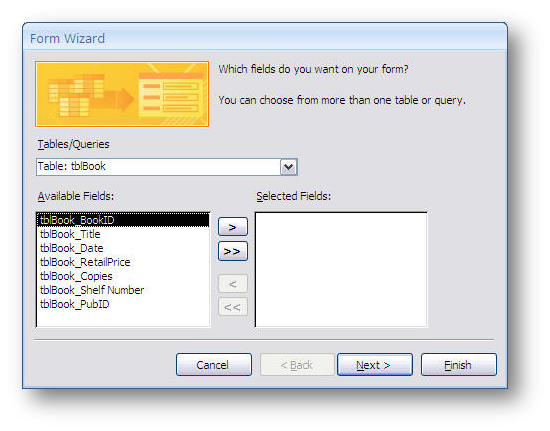 So, if you want to pull data stored in other tables or queries you will need to use subforms. 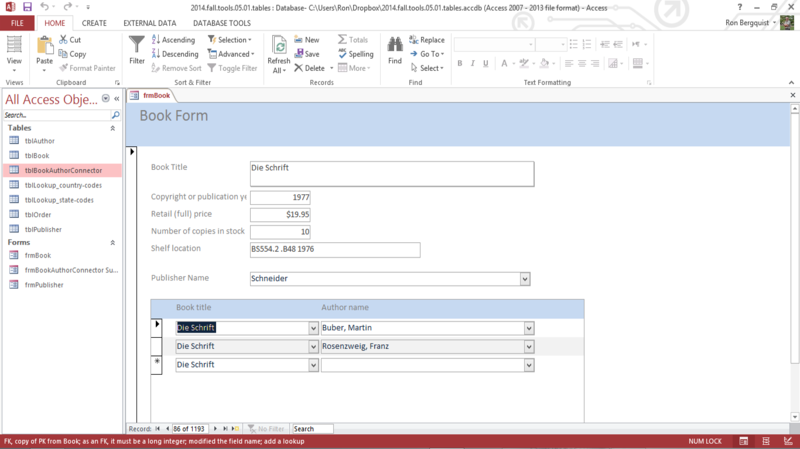 The Form tool creates a form tied to the table selected in the object window. Select Form and you get a form to work with, though it may not necessarily meet all your needs. 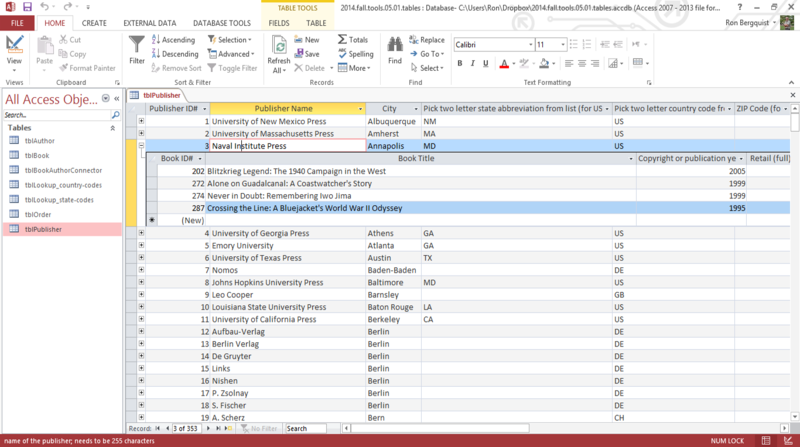 note that you can choose from more than one table or query. 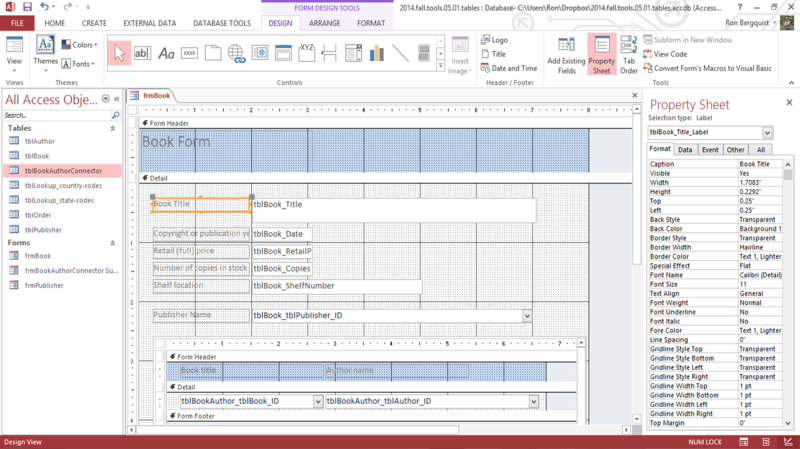 use a subform, a form within a form, to include information from more than one table in a form. The primary form is the main form while the form within the form is the subform. 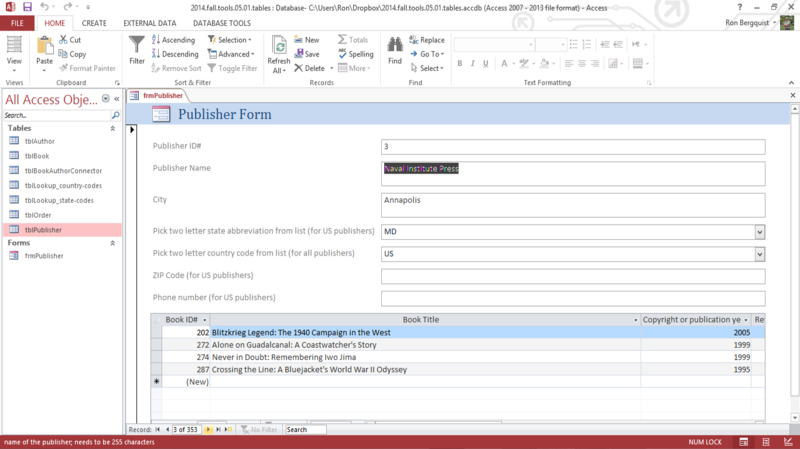 Subforms are most effective when you want to show data from tables or queries with a one-to-many relationship, like one author with many books. 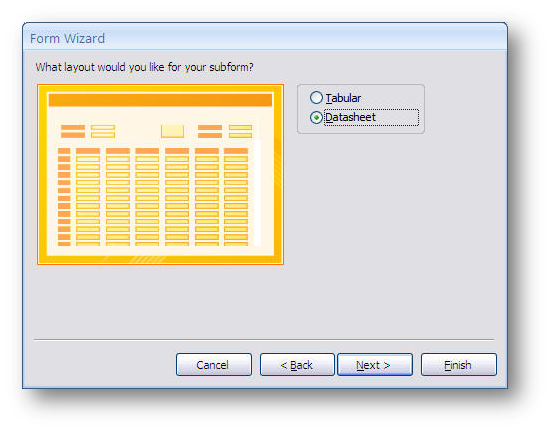 The main form is in a single-column format, and the subform is either in a datasheet or tabular layout. Other kinds of controls, like lines and rectangles, visually organize the information and group data on-screen.